Maybe there's a better way to go about this. What I want to do is render 2 scenes for every frame and use the result from the first render as a texture in the next. Scene 2: A room animated with a computer on the desk. Scene 1: The screen of the computer. This probably isn't even possible in the method I'm describing, but I think you'll see what I'm getting at. How can this be done in Blender Internal? 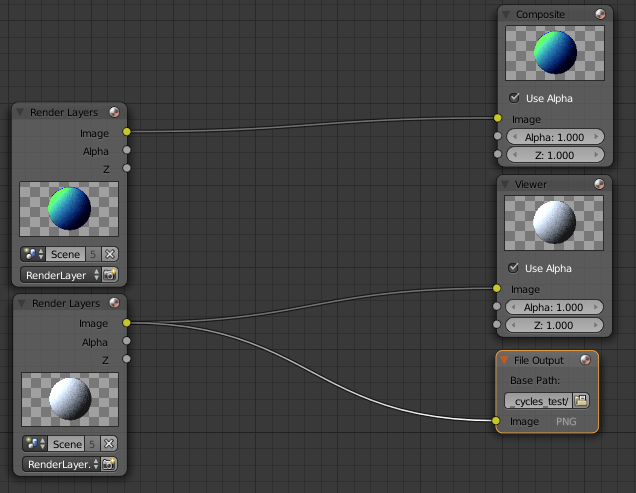 Neither Cycles not Blender-Internal support this, You just have to render out the files to an image or a movie, then load them in as an image texture afterwards. This is the result of the other render layer. Keep in mind that with this technique, the two layers are one frame apart. This could be fixed by rendering the influencing layer completely beforehand, and adjusting the offset accordingly. This should work in BI as well, using an image sequence texture (as opposed to an image sequence node). Not the answer you're looking for? Browse other questions tagged rendering texturing compositor or ask your own question. 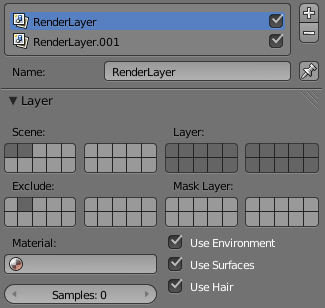 Why does “render layers” selection not influence the rendered scene in this blend file? How can I separate my scene into render layers to render my animation faster in Cycles?